Wow! If you love science, technology and math, then go get this great freebie! Apply now for your free EVO Robot and more! Educators, this TryaBox is just for YOU! Get a free EVO Educator Entry Kit to make STEAM and coding simple for your classroom! So, Tryazon will select 100 participants-educators across grade levels and subjects. Those chosen will receive a TryaBox with an Evo Educator Entry Kit experience. 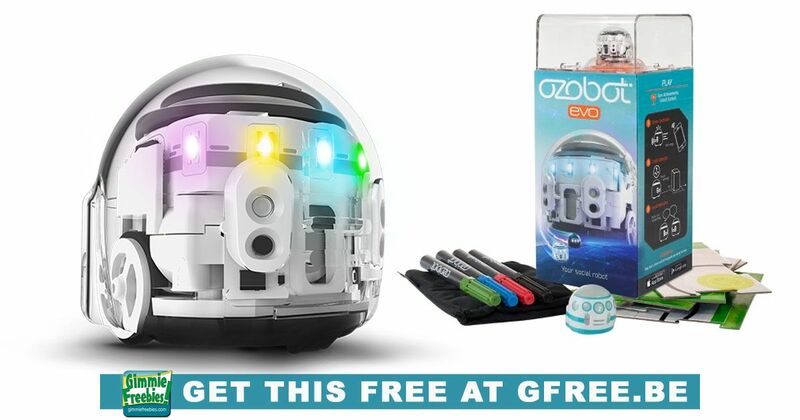 Ozobot Evo Educator Host Guide to help you with the sampling experience! So, it’s important to understand what to expect. We share several types of freebies, and all are similar in that they’re 100% free, and totally legitimate. But, knowing what to expect will help set you up for success! Firstly, “Easy Freebies” as I call them, are just that – super easy to get. You just follow the hyperlinks from this website to the offering company’s site and give them your shipping information so they can send you a freebie. Everyone who requests one properly gets one. They’re often small, free samples of products. Secondly, Product Tests, on the other hand, have a few more steps. But, since they’re usually full-size products and more valuable items, it’s worth it! Sometimes there may be a short survey so that you can be matched up with the products and/or companies looking for people like you. And product tests always have a limited supply of free things, so you’re applying to get the freebie but it’s not guaranteed. Often, product tests require that you try the item and review it or tell them what you think of it. Not to be confused with “free with a review.” Thirdly, Free with Review products .often come from Amazon sellers who are looking to boost their products trustworthiness to potential buyers. They’ll give away a product if you promise to review. Fourthly, Giveaways, Sweepstakes or Contests require you to submit an entry to win. There are a limited number of prizes, and not everyone wins. The items are often very valuable and well worth taking a chance on winning! Fifthly, Free with Coupons – just like it sounds! We match up store sales, rebates, cash back, coupons and more to score totally free stuff that you can pick up at your local store. Honorable mention: surveys. I hesitate to even say “surveys” because so many people incorrectly believe freebie sites are scams that just make you take endless surveys. That’s not true, and that’s not us. If you’re taking endless surveys you’re doing something wrong. Review the Freebie 101 link below and join our group to learn more! How to get free stuff: You just follow the links from this website, GimmieFreebies.com, which you’re on right now, to get to the offering company’s webpage. From there, follow the directions we shared on this website to get your free stuff. Want to learn more about Freebies? You can buy my book on Amazon, How to Get Anything Free – or I’ll give it to you for free if you sign up for the GimmiEclub, our free daily email. Watch my video series: Types of Freebies Explained and then watch & read the Freebie 101 in this link.